Hailed as a huge victory for women’s rights, the Supreme Court of Uganda made international headlines in August when it ruled the custom of refunding “bride price” unconstitutional. reducing women to property, and locking them into unhappy and even abusive relationships. Now, women will no longer be forced to refund bride price, allowing them more freedom to get a divorce. In theory, anyway. concentrated on laws and practices related to marriage, inheritance and land rights. Because these issues are so tied to community and cultural norms, she often finds herself delving into the intricacies of customary law and how it interacts with statutory law. In her most recent visit, Polavarapu added another layer onto her scholarship, turning her attention to the courts. Her research has so far revealed several obstacles, including the prevalence of corruption and difficulty executing favorable court judgments. One area where this difficulty is apparent is land-based judgments. 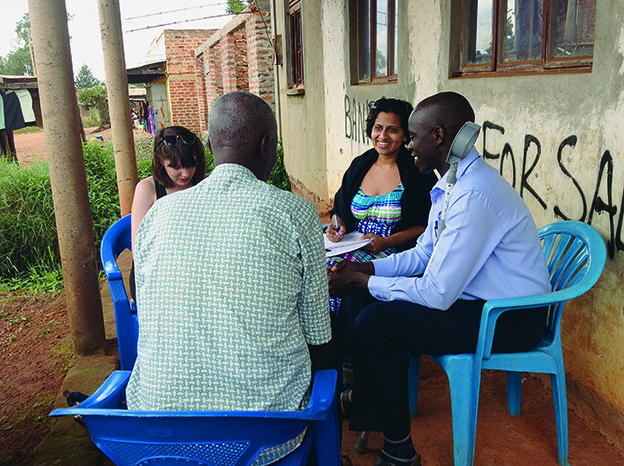 While her research shows that many hurdles remain to ensuring that Ugandan women are treated fairly, both in formal and informal justice systems, Polavarapu returned from this trip with reasons to be optimistic. This entry was posted in Fall 2015 on 23 October 2015 by Tobias Brasier.